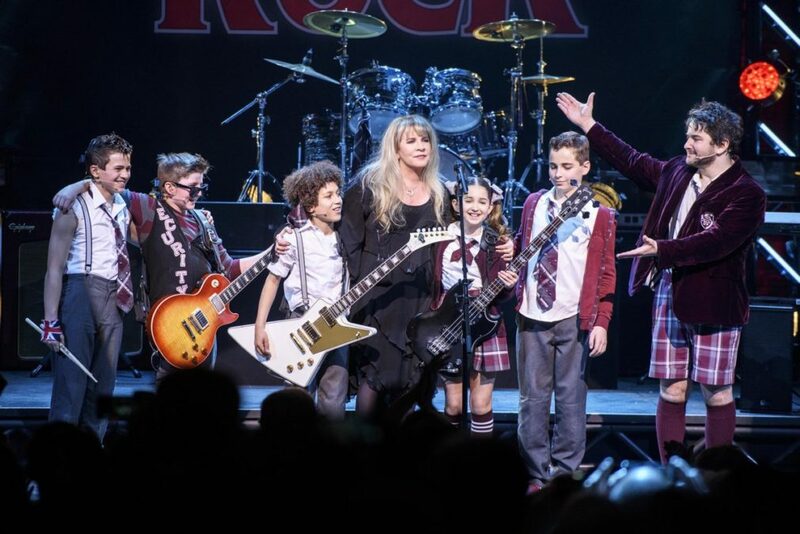 Watch Stevie Nicks Join the School of Rock Band! One of rock n' roll's most legendary headmasters recently paid a visit to the School of Rock! Grammy-winning Fleetwood Mac songstress Stevie Nicks hit the stage at the Winter Garden Theatre on April 26 when she surprised the audience with a performance of “Rhiannon.” The wildly talented kids of Andrew Lloyd Webber's exuberant tuner rocked out with Nicks, who applauded their superb musical skill. “To be in the presence of these kids that are so amazing that honestly sometimes I close my eyes and I’m not sure that it’s not Fleetwood Mac," Nicks told the cheering audience. "It’s very trippy. They are so good!” Enjoy the full performance below!